November 28, 2018Can You Be Too Young for Botox? Can You Be Too Young for Botox? BOTOX® treatments are being requested by younger patients who are hoping to prevent wrinkles altogether. But does preventative BOTOX® actually work? We spoke to doctors and patients to find out. Ask dermatologists and plastic surgeons across the country what their most requested treatment is and most of them will say BOTOX®. The non-invasive treatment is synonymous with smooth foreheads and is now increasingly requested by younger patients, many of whom hope that using it earlier will help prevent future signs of aging. 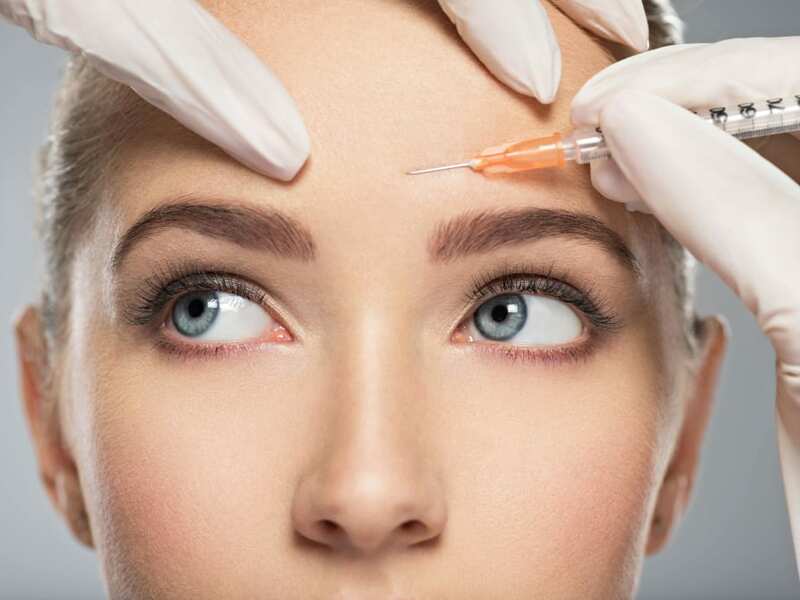 While BOTOX® for young patients can be divisive, people in the public eye (or just on social media) are facing increased scrutiny for their appearance, so is it any surprise preventative measures are growing in popularity? We spoke to leading Hollywood-based dermatologist Dr. Jennifer Black, MD and a patient who had her first treatment at 24-years-old to get the truth about getting preventative BOTOX® injections. The active ingredient in BOTOX® is botulinum toxin type A, a neurotoxic protein produced by a bacteria called Clostridium botulinum. Most people refer to products including botulinum toxin type A as BOTOX®, but it is actually a brand name like Xeomin® and Dysport® which are similar products. When cosmetically injected, these products mute nerve endings and relax muscles, resulting in smoother skin and reduced fine lines and wrinkles. The cosmetic use of products containing botulinum toxin type A is considered safe and approved by the FDA. There are some risks associated with BOTOX® (and other brands of products). Most common side effects are mild, like bruising and flu- or cold-like symptoms following administration, but others can be more severe. Your practitioner will discuss these with you in detail when discussing treatment options. The use of BOTOX® treatments to reduce fine lines and wrinkles is most effective when used on “dynamic wrinkles,” like on your forehead and/or crow’s feet. The most requested area to be treated with preventative BOTOX® in young people is the glabella muscle, which is responsible for frown lines between the eyebrows (commonly referred to as the "elevens"). Treating this area can help people have more engaging, relaxed, and inviting expressions, which “can be very important for younger patients working to establish relationships and careers,” Dr. Black explains. Starting early can be helpful by preventing rather than curing wrinkles. “After a line has become etched-in, stopping the motion may not be enough to smooth the line,” Dr. Black warns. To ensure a natural look, your practitioner should work to ensure symmetry. “Most patients are worried that they will look weird,” Dr. Black says. “They have seen bad results on others and they do not want to look unnatural. If BOTOX® is done well, it should not be noticeable at all.” Since BOTOX® is a highly potent chemical, the results achieved often depend on the skill of the administrator. "There should not be any abnormal muscle changes," says Dr. Black. In order to achieve the best results and maintain them long-term, it is recommended that patients have a follow-up two weeks after their initial treatment to see if any adjustments need to be made. Despite common belief, a natural appearance is not always about the amount of BOTOX® used but rather the injector’s method. “Having an even treatment means that the shape of the eyebrow is natural and not lifted too high or dropped too low and it also means that all the muscles are balanced so there are not any areas of odd movement,” Dr. Black explains. “The amount of movement the patient keeps can vary between treatments and can change over time. Ultimately, the goal is to give the patient an improved expression and prevent wrinkles, all while maintaining a natural look.” Patients should expect to have touch-ups on a regular basis, around every three to four months. Finally, always ensure the practitioner you chose is registered with the American Society of Plastic Surgeons or is a board certified dermatologist, as this is a good indicator they have a deep understanding of how facial muscles work. The price of BOTOX® varies depending on the targeted areas, how many units are used and your geographical location. In New York, for example, the average cost is $18 per unit. Many practitioners offer a free follow-up after your initial round of injections to make sure the results are as close to your expectations as possible. In recent years, BOTOX® treatments have begun being used for issues beyond signs of aging, like chronic migraines. “Minimizing the frowning muscle can also provide other benefits such as preventing migraines, improving symptoms of depression, and helping to improve interpersonal skills,” said Dr. Black. While these patients may not be looking to cure signs of aging, they may also benefit from the aesthetic improvements. If you suffer from a condition like chronic migraines, you can discuss BOTOX® as a treatment option with your physician or consult a specialist to find out if it could be appropriate for you. BOTOX® is one of the safer non-invasive cosmetic procedures. In many cases, it can have a huge impact on your self confidence and has minimal negative side effects. In the past, injectables were seen as a treatment to reverse aging, but now young people are turning to BOTOX® as a preventative measure, many starting in their late 20’s or early 30’s. As Dr. Black notes, “all BOTOX® is preventative” and can be important to take early action. For some people that means incorporating BOTOX® procedures into their regular skincare routine. The most important thing is to take time to find a practitioner you trust and can talk to openly about your treatment goals, whatever age you are.